GBWhatsApp Latest APK for June is here and available for Download on your Android device. 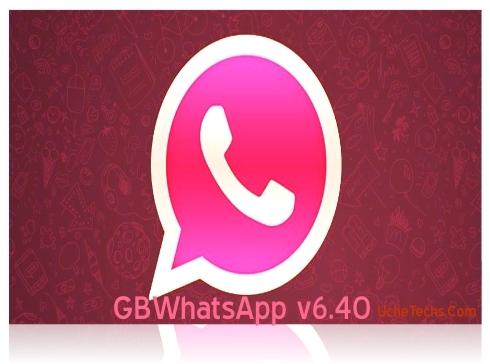 This GbWhatsApp 6.40 is an update from the previous v6.30 with new features and upgrades. One Key Feature of GB Whatsapp v6.40 is the power given to admins to prevent members from sending messages in groups, I can't wait to try this. GBWhatsapp v6.40 comes with better features and is still implementing features that users will definitely find handy and easy to access. You will even be able to record audio clips without having to press the long button on the voice recording. If you are new to GBWhatsApp, It is a messaging application modded from the Official Application which includes new features that the original whatsapp doesn't have, don't worry, it still uses whatsapp Database so all your conversations and 2 step verification passwords are secure for now. I also use GbWhatsapp and can't remember using Whatsapp this year, although I did last year becuase of the GBWhatsApp Crash issue, i created a trick to fix that.